For nearly 20 years, Michael Goodman and his firm have been a respected member of the community in Rockwall. From their office on Ridge Road, right in the heart of Rockwall, The Goodman Law Firm has protected the rights of thousands of local clients. Building personal relationships has always been the cornerstone of what enables the Goodman Law Firm to be such a proactive advocate for it’s client. When you are faced with a legal dispute or proceeding, it can be difficult to know how to protect your rights and pursue your objectives. As a family law and criminal defense attorney, Michael E. Goodman has over 17 years of experience guiding people in Rockwall, Kaufman, Hunt, Collin, and Dallas Counties who are going through challenges in their lives. We understand your concerns, apprehensions, and questions and know how important it is for our clients to receive the personalized, compassionate, and timely legal counsel that they deserve during this stressful time when the stakes are high. We have committed to keeping our firm small so that we can provide the one-on-one relationships that our clients have come to expect and enjoy. It is easy to tell a client what they want to hear, but we strive to provide our clients with a realistic review of their potential case so that they can make the best decision about how to proceed. Family law cases can be difficult to handle. Almost every case is charged with emotion, and the complications of family dynamics, strong feelings, children, and property can all cause a significant amount of stress. Although there are some instances in which spouses or parents agree on the resolution of certain matters related to divorce or child custody, there are often issues that require negotiation and court involvement. 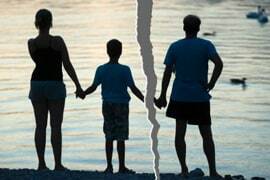 There are certain legal requirements that you must satisfy to obtain a divorce in Texas. First, one of the spouses must be a resident of Texas for at least six months and a resident of the county in which the proceeding will be filed for at least 90 days. The party seeking the divorce must state the grounds for their decision to dissolve the marriage. Some examples of grounds for divorce include adultery, abandonment, and cruel treatment. 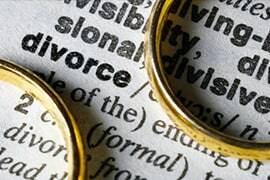 Some issues that may arise in divorce proceedings involve spousal support and the distribution of assets. In general, spousal support constitutes a payment that a former spouse pays to the other to assist the receiving spouse with maintaining the lifestyle to which they have become accustomed. The payments can be temporary, allowing the receiving spouse time to become financially independent. A dedicated family law attorney at our Rockwall firm can help you advocate for an arrangement that works for you, whether you are the paying spouse or the receiving spouse. When you work with our team, we do everything and anything within our power to provide you with comprehensive representation for your case and to help protect your rights and interests. We have tried more than 300 bench trials and have earned multiple pro bono awards. Our founding attorney has more than 15 years of experience guiding clients to favorable resolutions in child custody cases. In Texas, child custody arrangements focus on possession and access, and conservatorship. Unless both parents can agree on the appropriate custody arrangement for a child, a family law judge will decide the arrangement. If the parents agree, they can submit a written agreement for court approval. 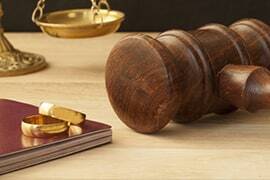 If the court is required to intervene, there are certain factors that the judge will consider. The guiding principle is the best interests of the child. When it comes to the type of conservatorship that the judge can order, there are two main types. They can order joint managing conservatorship that involves both parents, or they can order sole managing conservatorship that primarily gives authority to one parent. A conservator has many rights, including making decisions about the child’s education and medical treatment. If you are facing a child custody dispute, it is essential that you speak with a Rockwall family law lawyer as soon as possible to protect your rights. Many parents believe that once the court enters an order of child support, they are unable to seek a modification. However, Texas provides a method for modifying a child support order (and other orders), but certain requirements must be met before the modification can be granted. First, it must be three or more years since the court initially issued the order or last entered a modification. Next, the monthly child support amount must differ by either 20 percent or $100 from the figure that would be provided pursuant to the child support guidelines. This requirement allows for a child support modification in the event that the financial status of either party changes. A party can also seek a modification if they can show a material and substantial change in circumstances that took place since the child support order was first issued. Examples of material and substantial changes include an increase or decrease in the noncustodial parent’s income, or changes in the child’s medical insurance coverage. If you are seeking a child support modification or involved in a dispute surrounding a proposed modification in Rockwall or surrounding areas, family law lawyer Michael E. Goodman is prepared to help you protect your rights. Our lead attorney is a former chief felony prosecutor, which means that he has a thorough understanding of how the justice system works from the inside. This helps him protect the rights of a defendant against the prosecution. 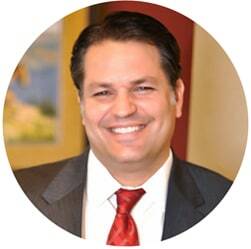 Each individual who seeks our counsel is provided with one-on-one legal services direct from an attorney. Although your situation may seem daunting, there are many defenses and other procedural issues that may play an important role in getting a charge dropped or reduced. For example, police officers must follow certain rules when it comes to conducting searches and seizures. If they fail to follow these procedural protections, evidence obtained as a result of the unlawful search may be suppressed. This can be critical in cases involving drug possession or other drug crimes, since these charges are hard to prove without tangible evidence of the substance at issue. Any criminal charge must be proved beyond a reasonable doubt for the prosecution to obtain a conviction, and Michael E. Goodman is ready to help you make sure that they are held to this high standard. At the Goodman Law Firm, we aim to treat each client like a long-term friend instead of just another file on the shelf. Our small firm size allows us to build relationships with our clients, which helps us provide them with personalized and compassionate legal counsel. Whether you need a Rockwall family law attorney to handle a divorce or a child custody or support dispute, or you are facing a criminal charge, we are prepared to help you ensure that you are treated fairly. From our office on Ridge Road, right in the heart of Rockwall, we have represented thousands of people throughout Rockwall, Kaufman, and Hunt Counties, as well as in Dallas and Collin Counties, and we offer a free consultation to discuss your situation. Call us now at 972-772-4140 or contact us online to get started. Ready to get your case started? If you’re looking for help starting your family or criminal lawsuit, we offer a free 30 minute consultation session to all our new clients!